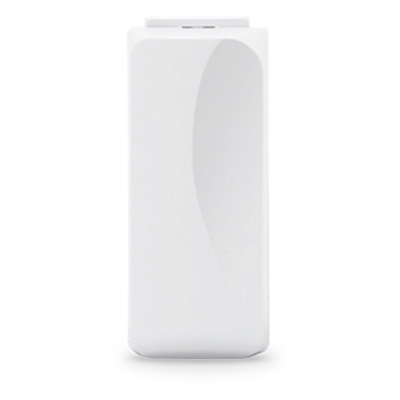 This sensor detects if a garage door is open or closed, sending a signal to your alarm & notifying you. Our tilt sensors should be installed on any garage doors you wish to monitor. When placed on the top inside panel of your garage door, the sensor will send “opened” & “closed” signals to your system if the sensor’s pitch exceeds 45 degrees. We recommend you have 1 per garage door you wish to secure. With our free mobile app you can configure notifications on your smartphone so you can receive an alert whenever your door is detected as “opened”.